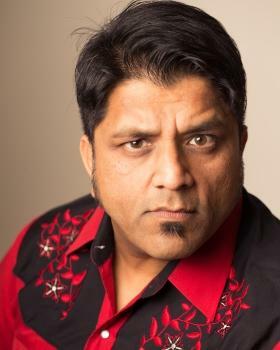 Tarun Mohanbhai has performed comedy all over the globe from London to South Africa as well as all over New Zealand. You would have seen him on the Billy T’s showcase the year he was nominated and on various seasons of Pulp Comedy. He was also on A Thousand Apologies, The Millan Baird show and recently on Choppers Republic of Anzakistan. In 2002 Tarun devised D'Arranged Marriage with Rajeev Varma, for which he was nominated for a Billy T Award. The show was a sell-out success and was picked up by Mollisons in Australia on an international contract. In 2003 he toured extensively with D'Arranged Marriage both nationally and internationally and since then the show still tours to this date to critical and commercial acclaim. He is regularly on the New Zealand comedy circuit and can find him performing in a town near you.